It's likely that, at some point in your application development, you will want to add additional drivers to your project. 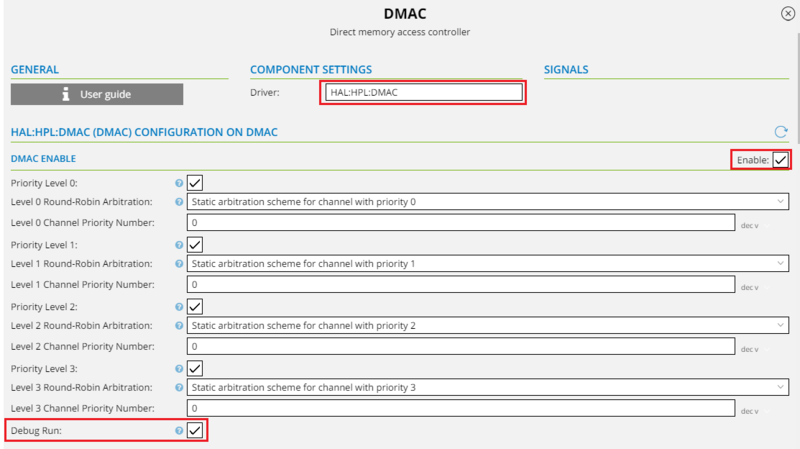 This step shows you how to add a DMA driver to transfer ADC conversion results to the USART. 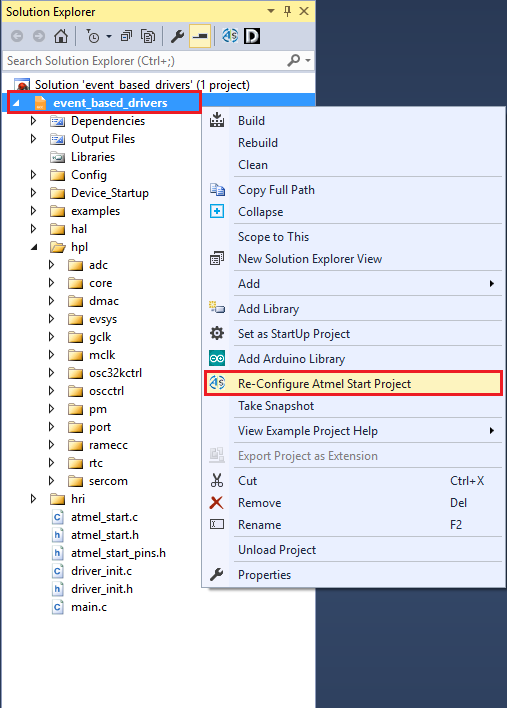 Right-click on the project and select 'Re-Configure Atmel Start Project'. Atmel START opens the code configurator. Click on 'DMAC' to make a configuration window appears at the bottom. The trigger is generated, indicating transfer. The trigger source will be the ADC1 Result register (ADC conversion value resides in the ADC result register). Click on GENERATE PROJECT. 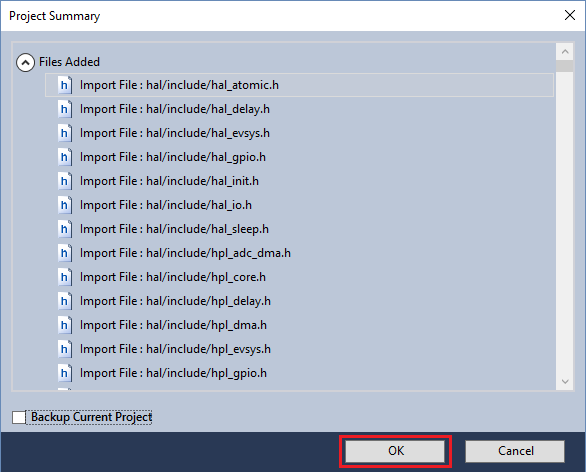 A 'Project Summary' pop-up appears, which displays the modified and added new files. Verify that the selected driver files were added and press OK. The project is regenerated by adding the configured DMA driver.